I’ve been making this recipe multiple times a week in one form or another for several months. This is my favorite iteration after several refinements. This recipe it can be modified in many ways. I served it to a group and no one missed the dairy or sugar at all. The added fruit brings natural sweetness. A health filled start to your day! 1. In a baking dish, mix the oats, vanilla, and cinnamon. 2. Add chopped walnuts, chia seeds, ground flax seed, and black seeds and mix to evenly distribute. 3. Next pour the water over the mixture and stir. 4. Stir in the blueberries, chopped apples and dried fruit. 5. Bake at 350º for about 45 minutes. There are lots of healthy elements to this recipe that help start your day right. Blueberries and apples provide some of the vitamins, nutrition and fiber our bodies crave. The nuts and seed provide healthy fats and sustained energy. Cinnamon has been noted to help boost metabolism as well as blood sugar regulation. One of the things I enjoy about this recipe is it’s versatility. In the past, I’ve subbed in muesli for oats. Oftentimes I leave out the raisins to reduce the sugar content. The apples have been optional for me because they take the most time to prep. I’ve cut this recipe in half and made it on the stove in a sauce pan. This is a filling, stick with you oatmeal recipe. I tend to make the baked version on the weekend so I have a few ready made meals at the beginning of the week. (If I can stop snacking on it.) Plus baking it allows me to use an awesome earthenware baking dish that gives me warm vibes in the wintertime. If you try it, please let me know what you think. Funny, I was talking about this at lunch today with one of my business partners and then I stumble upon this from The Good Men Project. "If you look at people who are the best at what they do, whether it’s athletes, artists, or business people, they all get coaching in one form or another." This article breaks down some recommendations on next steps. Decide what you want to be coached on. Choose a goal you want to head towards. Quite possibly the most important part would be a fifth step. Regularly evaluate your progress (but not too often) and adjust as needed. The essence of your mind is intrinsically pure. 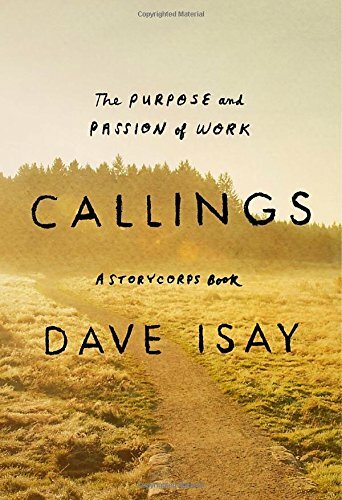 "Over a decade of listening to StoryCorps interviews, Isay noticed that people often share the story of how they discovered their calling ... he shares 7 takeaways from the hard-won fight to find the work you love." One of the best things about travel is getting to meet other people. And every now and then, you luck out and meet someone who starts a conversation that leads to amazing travel advice. I didn't know about the talcum powder trick. The $20 idea is good but I'd also say keeping a crisp $100 somewhere is also a solid practice. One time in Frankfurt I couldn't get one of my bills exchanged because it was an older style. Now I try to bring only new cash and use my cards whenever possible. The only real fire to cultivate is the fire inside of you. Nothing external will cultivate it. The greater your internal fire is, the more people will want it.